CW’s The Originals Season 1 Episode 16 will be titled Farewell to Storyville and will air this upcoming March 11, 2014 starting 8PM. Our favorite vampires; Klaus (Joseph Morgan), Elijah (Daniel Gillies), Rebekah (Claire Holt); end up trapped in the City of the Dead by a witches spell. 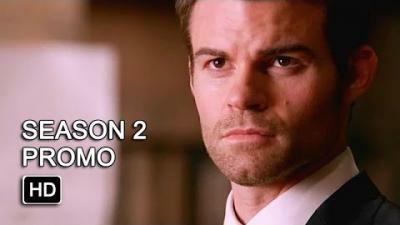 Elijah drops yet another game changing family secret on Klaus and Rebekah. This episode looks to have many things going on, read below for full details. TRAPPED IN THE CITY OF THE DEAD--Despite Klaus’ (Joseph Morgan) rage, Elijah (Daniel Gillies) is determined to protect Rebekah (Claire Holt) while the three of them are trapped in the City of the Dead cemetery by a witch’s boundary spell. Klaus and Rebekah trade bitter accusations until Elijah steps in to reveal a long-held secret from the family’s past. Meanwhile, Marcel (Charles Michael Davis) races to free Rebekah, ultimately finding himself forced to make a deal with Genevieve (guest star Elyse Levesque). Finally, Rebekah and Hayley (Phoebe Tonkin) connect over their shared concern for Hayley’s unborn baby. Jesse Warn directed the episode written by Michael Narducci. 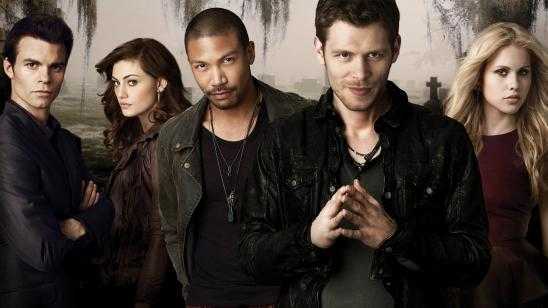 Official Synopsis: A spin-off from The Vampire Diaries and set in New Orleans, The Originals centers on the Mikaelson siblings, otherwise known as the world's original vampires: Klaus (Joseph Morgan), Elijah (Daniel Gillies), and Rebekah (Claire Holt). Now Klaus must take down his protégé, Marcel (Charles Michael Davis), who is now in charge of New Orleans, in order to re-take his city, as he originally built New Orleans. Klaus departed from the city after being chased down by his father Mikael, while it was being constructed and Marcel took charge. As Klaus has returned after many years, his ego has provoked him to become the king of the city. "Every King needs an heir" says Klaus, accepting the unborn child. The child is a first to be born to a hybrid (part vampire, part werewolf) and a werewolf (Hayley).